When users click your custom link, they see a page with multiple links you want to share, such as links to your email signup, products, a blog post, and so on. You can share up to five links with Linktree. 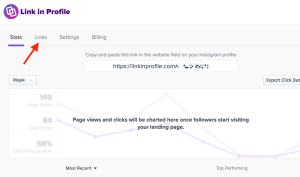 One distinguishing feature is that your Linktree profile link is branded with your Instagram handle, even if you use the free version. The free version also includes unlimited links, reporting on the total number of clicks for each link, and three Linktree themes. 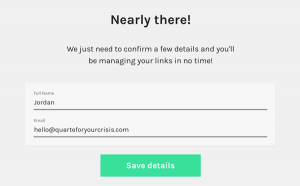 The Linktree paid version costs $6 per month and includes a daily breakdown of your link traffic, team access, custom buttons and styles, a custom title, the ability to schedule links, and a way to add your Facebook pixel and retarget Linktree visitors. To add Linktree to your Instagram profile, visit Linktr.ee and click the Sign Up Free button in the upper right. Log into the Instagram account you want to connect and give Linktree access to your account. Next, select your plan and confirm your details to complete the signup process. 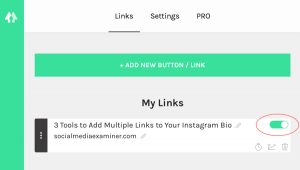 On your Linktree dashboard, click the green button to begin creating the list of links you want to share via your Instagram bio link. On the second line, add the destination URL. Use the toggle on the right to set your new link to visible or hidden. If you want to include additional links, click Add New Button/Link and repeat these steps. You can rearrange the order of the links and view the number of link clicks all from your Linktree dashboard. 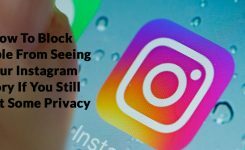 On the far right of the screen, you’ll see a live preview that shows how your links will look on Instagram after a visitor clicks the Linktree link in your bio. Now that you have a Linktree profile link, you need to add it to your Instagram bio. You find this link in the top-right corner of your Linktree dashboard. Copy and paste your Linktree URL into your Instagram bio and you’re all set. For a single-user account, Lnk.Bio is similar to Linktree. With the free version of Lnk.Bio, you get unlimited links but not a branded URL as you do with Linktree. Instead, Lnk.Bio gives you a random unique URL. To receive a custom URL with Lnk.Bio, you need to choose the Pro-Monthly ($0.99/month) or the Pro-Lifetime ($9.99/lifetime) plan. These two plans also provide link tracking, statistics, and email support. 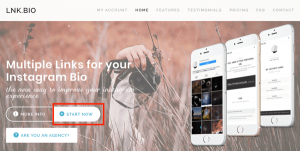 Although Linktree and Lnk.Bio operate similarly for single accounts, the Lnk.Bio option for agencies stands out as a great solution for managing multiple client Instagram accounts. The pricing begins at $1.99/month for three accounts. Each client receives a branded URL and you can manage clients’ links without needing their Instagram passwords. To give Lnk.Bio a try, start by adding a single free account to your Instagram profile. On the Lnk.Bio home page, click Start Now in the lower left. 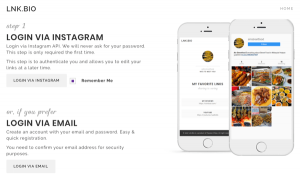 Next, log in with either your Instagram account or email. For this example, click the Login Via Instagram button, enter your Instagram username and password, and click Authorize. After you log in, scroll to Step 2 to create your links. The process is similar for both Linktree and Lnk.Bio, but for Lnk.Bio, the URL comes before the title. In the Add a New Link box on the right, enter the destination URL in the first line and your title in the second line. Then click Add Link Now. Add as many links as you’d like. When you’re finished, click Get Your URL. 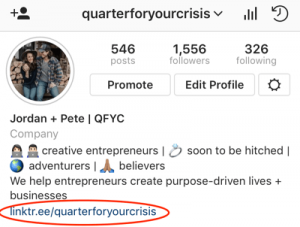 Now copy and paste your unique URL in your Instagram bio. As you can see below, the free version of Lnk.Bio doesn’t provide a customized or branded URL. Like Linktree and Lnk.Bio, Link in Profile points the website link in your Instagram profile to a page of links. 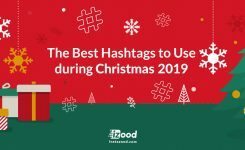 However, Link in Profile also will show the image from your Instagram post with each link. The process for customizing your page of links is incredibly easy. 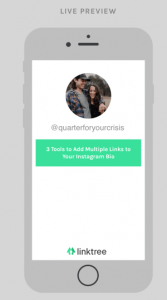 Each time you share an image or video on Instagram, Link in Profile lets you easily add it to your list of links. Link in Profile doesn’t offer a free version but does offer a 30-day free trial for all plans. After your free trial, personal plans are $9.99/month and include a dedicated landing page that’s branded with your Instagram handle and picture. To start the free trial and see how Link in Profile works, click Start Free Trial on the home page. Log into Instagram and authorize Link in Profile to access your media and profile information. Then provide the email address you want to use for Link in Profile communications. 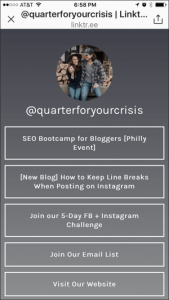 On the Links tab, you’ll see all of your Instagram posts so you can quickly set up the ones you want to display on your page of links. Next to any image, click the Tap to Add a Link button. You then see a place to add a link, title, and description. Click Save when you’re done. 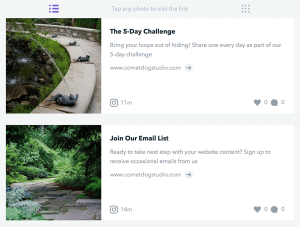 In this example, the link takes users to the sign-up page for a five-day challenge. 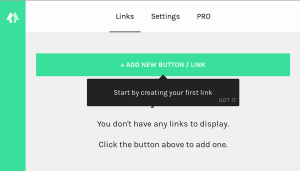 After saving the link, you can choose whether you want the link to be visible, hidden, or pinned on your page of links. After you finish adding links to your posts, scroll back to the top of the dashboard. Copy your unique URL and paste it into your Instagram bio. Voilà! The website link in your bio now sends anyone who clicks it to a page of links that takes them anywhere you want them to go. With your profile picture and username at the top, the page reflects your branding, too. 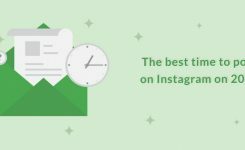 If you use Instagram for your social media marketing, the solo link in your bio is extremely powerful. These three tools let you use this link to give followers multiple opportunities to join your email list or otherwise enter your sales funnel, helping you turn followers into subscribers and loyal fans.